Tinnitus – “Live with it”, “there’s nothing you can do”, “it will go away on it’s own”. This is the sort of advice given years ago when little was known about Tinnitus and unfortunately this is still the perception today. Times have changed and a significant amount of research into the condition has led to a much better understanding of it’s causes and consequently how best to manage it. Some people are able to live with their tinnitus without any real impact on their daily lives, however for 5% of the adult population tinnitus can drive them to distraction. Tinnitus is not a disease or an illness. It is triggered by a mental or physical change and it is therefore vital that you inform your GP who may then decide to refer you to an Ear, Nose and Throat Consultant. They will confirm or rule out any medical reason for the tinnitus. Whilst there is still no cure for tinnitus there are many effective treatments available. At Nantwich Hearing Centre we offer tinnitus counselling sessions. This will involve a discussion of your medical history, an ear examination and possibly a hearing evaluation. Alternative treatment pathways will be offered and onward referral if necessary. Please contact us if you need any advice or support. I'm just writing to say that my wife Joan and I have both just bought Widex aids, plus a phone and TV Play. My wife has only just started to need a hearing aid, whereas I've worn hearing aids for many many years. My hearing loss, as you can imagine, is severe. Previously, we had NHS aids, and the difference is staggering. I had a long career in the computer industry, and know how much work goes into software development and hardware miniaturisation, and I'm tremendously impressed - gobsmacked, indeed - by your products. Thank you very much, and keep up the excellent work. I should also add that Alan Jackson of the Nantwich Hearing Centre also deserves commendation for his excellent, painstaking an insightful treatment. A great guy. I've worn hearing aids of many kinds since I was eight years old, back in 1951. I have to say that I'm tremendously impressed by what I've experienced at Nantwich Hearing Centre in both the quality of Alan Jackson's consultation and the quality of the hearing aids supplied by Widex. Both I and my wife Joan have been here, with widely differing degrees of hearing loss and history. Alan was able to help both of us so much. Not only is the technology of these aids far beyond anything else I've seen, in things like "training" aids to your personal preferences, but the supporting equipment, for instance streaming our TV's sound wirelessly directly to our hearing aids, gives us a whole new experience which is quite mind-blowing in sound quality. Thanks, Alan. I'd been putting off my deteriorating hearing problem for some time, not particularly attracted by the big names on the High Street. So glad, therefore, that I found Nantwich Hearing Centre whose knowledge of the many facets of hearing loss is impressive. Having bitten the bullet, I can honestly say that the professional, friendly, impartial advice and subsequent service I have received has been first class. I have no hesitation in recommending anyone with concerns about their hearing to book an appointment at their earliest convenience for a chat in a calm, relaxed environment. Having had hearing aids fitted by Alan Jackson at Nantwich Hearing Centre, I am very pleased with the results which are a vast improvement on my previous experiences. The standard of care is excellent and the depth of knowledge and expertise is backed up by the latest very sophisticated testing and hearing analysis equipment. 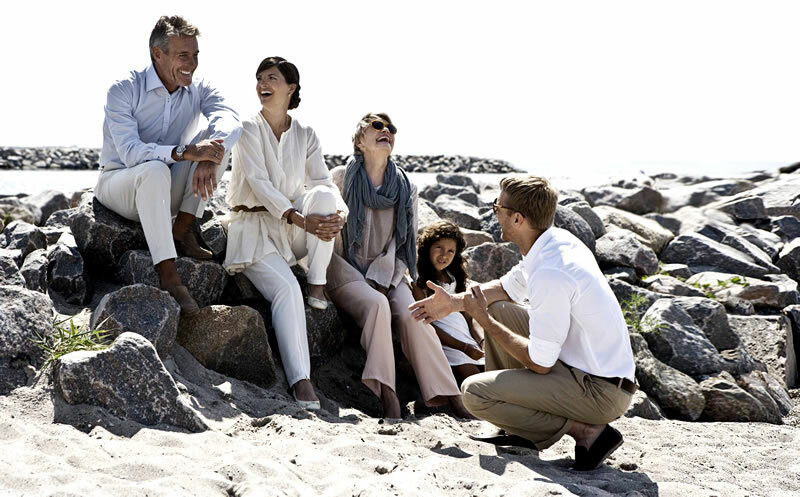 A full follow up service is provided and hearing aids are fully guaranteed with manufacturer's warranties. Extremely professional, friendly service. Working in the music industry, good hearing protection is vital and Nantwich Hearing Centre provided me with expert advice and a great product. I'll be returning for some custom moulds very soon. I wouldn't hesitate to recommend them to anyone. © 2015 Nantwich Hearing Centre. All rights reserved.